A migraine is a severe and painful headache that millions of people around the world suffer from. Migraine attacks can be preceded by an aura of sensory warning signs such as blind spots, flashes of light, tingling in the arms and legs, vomiting, nausea, and increased sensitivity to light and sound. Sometimes these signs may accompany the headache instead of preceding it. The pain that migraines bring can last for several days at a time and is a common problem in not just the U.S but also most other parts of the world. According to a report published by the American Migraine Association, migraines affect over 36 million Americans which constitutes about 12 percent of the total population. Migraines are generally one-sided headaches and tend to affect people in the age group of 15 to 55. 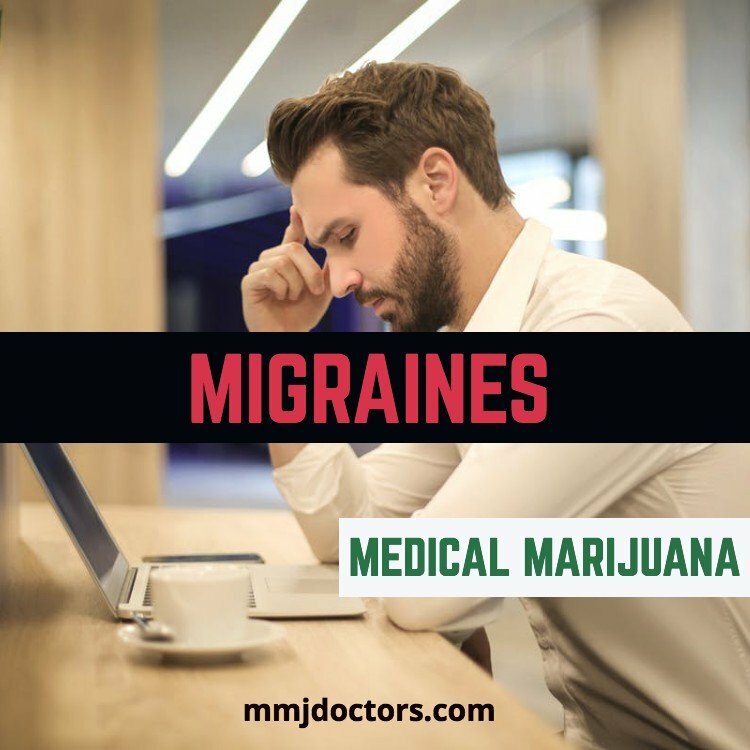 Research indicates that alternative treatments such as medical marijuana can help reduce migraine attacks dramatically. There is strong evidence that cannabis has a great effect on certain types of chronic pain such as a migraine. Read on to know more. Inability to perform regular chores due to pain. Increased sensitivity to light and sound that reduces when you recede to a quiet and darkened room. For many migraine sufferers, auras act as a sort of red flag, letting them know that a headache is soon to come. However, many people do not experience any aura. Perceptual disturbances such as those listed below are called auras. When migraines with aura affect vision, the person may also see things that are not really there. These disturbances can be compared to the sensation a person experiences after being photographed using a very bright camera flash in a dark room. Migraine and sinus headaches are commonly confused with each other because the two conditions share many of the same symptoms – which makes it hard to distinguish one from the other. In fact, nasal symptoms are experienced with many types of migraines. Cluster headaches too are mistaken to be migraine headaches as they have overlapping symptoms such as a one-sided headache. However, cluster headaches arrive and depart rather swiftly unlike migraines that can last for several hours to days. There is a network of cannabinoid receptors inside your brain and other parts of the body. These receptors are tiny loops of protein that modulate how you feel pain. Marijuana is made up of natural compounds known as cannabinoids. When you use medical cannabis, these compounds travel through your body in search of receptors. They bind to the receptors and change how they work and in turn calm down pain signals. Cannabinoids present in medical cannabis also help alleviate other migraine symptoms such as nausea, anxiety, and other conditions such as muscle spasms. Researchers are confident that marijuana can go a long way in replacing opioids as the go-to for relief from pain. There are a number of pain-relieving drugs that you can take as soon your experience the signs and symptoms of an oncoming migraine. Aspirin and ibuprofen may be used to treat mild migraines. There are a number of drugs marketed specifically for migraines that contain a combination of aspirin, acetaminophen, and caffeine that can ease the moderate pain. However, these fail to provide relief in severe cases of migraine and can have side effects such as ulcers, gastrointestinal bleeding, and headaches due to the drug overuse. Triptans are said to work better than painkillers in treating migraines. They are available in the form of pills, sprays, and injections and provide pain relief by constricting blood vessels and blocking pain pathways in the brain. Though they are effective, they can cause side effects such as nausea, dizziness, pain at the injection site, drowsiness and muscle weakness. Marijuana, on the other hand, contains active compounds that are more effective at reducing the intensity as well as the frequency of acute migraine pain when compared to prescription migraine medication, and also have fewer side effects. The right percentage of THC-CBD can greatly reduce the severity of pain caused by migraine attacks. Pot also promotes better sleep. Medical marijuana is now legal in many parts of the world. However, to purchase cannabis to treat migraine, you will need to visit a doctor who will assess your symptoms and existing health condition before prescribing it for medical use. Migraines is one of the many conditions that can be easily tackled and treated by the consumption of regulated doses of medical marijuana. If you wish to try cannabis to treat migraine attacks, book an appointment with one of our medical marijuana doctors in South Florida. Our board-certified doctors will note down all your symptoms and diagnose your health condition before writing out a prescription of marijuana. You will also need a state-issued ID card in order to buy medical marijuana which can be obtained when you visit our clinic. Apart from the prescription, the doctor will also approve your application for a state-issued card that will enable you to purchase cannabis from any online or regular marijuana dispensary. 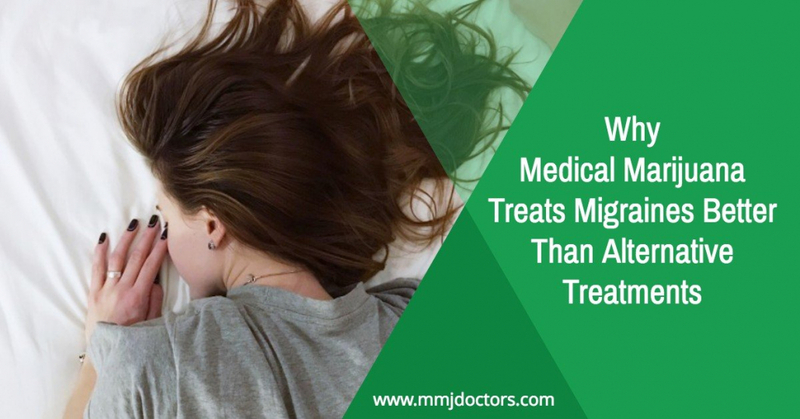 If you or someone you know, suffers from recurrent migraine attacks and are on the lookout for an alternative treatment that will show results, you must try medical marijuana. You can simply schedule an appointment with one of our medical marijuana doctors who will gladly diagnose your symptoms, evaluate your condition, and write out a prescription within minutes. So, what are you waiting for? 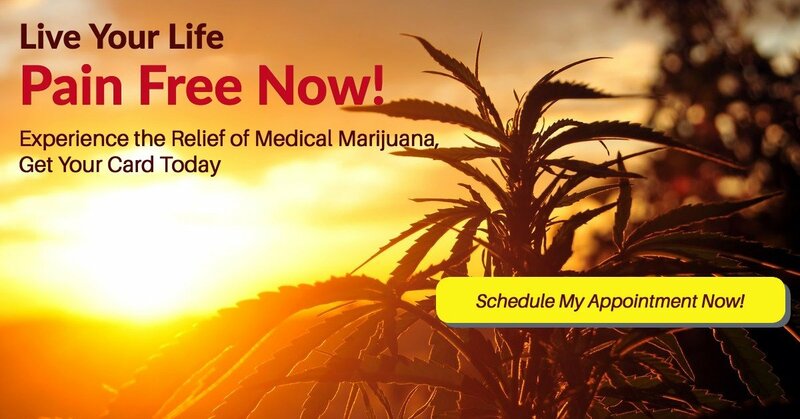 Visit mmjdoctors.com and get one step closer to living a pain-free life!